Seth and I have been a somewhat focused on resources lately, but for good reason. Things like layers, blocks, and styles (lines, dimensions, tables) are assets that are created and recreated from project to project and it seems like this is a bit of extra work. Of course we can use templates and standards, but there always seems to be a page setup or table style missing – one that we created for a project we were working on just last week. And boy wouldn’t it be great if I could get all of those things with a quick click. The import of many of these assets is pretty straight forward code wise, so I’m going to “give away the store” (or just a small portion of the store) and show you how you can do this yourself. I’ll then introduce you to our next Exchange App that we expect will be ready by the end of November. In this example I’m going to show you how to get text styles from an external DWT, DWS, or DWG file (the sourceDb) and bring these into the current DWG (the destDb). We will use VB.Net. Here’s the code listing. Comments embedded. You can use this same pattern for dimension styles, multi-leader styles, table styles, line types, and page sets. Layers, and blocks are similar but require some extra effort. So, what about that next app? Seth and I have been working on a new app for Autodesk Exchange and expect to have it published shortly. So, if you don’t want to tackle importing resources yourself then you can download our version. DWG Resource Importer consolidates these operations into a convenient palette allowing you to quickly import resources from templates, standard files, and drawing files. Here’s what you can expect to see. Import the resources and if you want to refer back to the report later you can save it. There’s no reason anyone on your team should have to recreate resources from project to project. 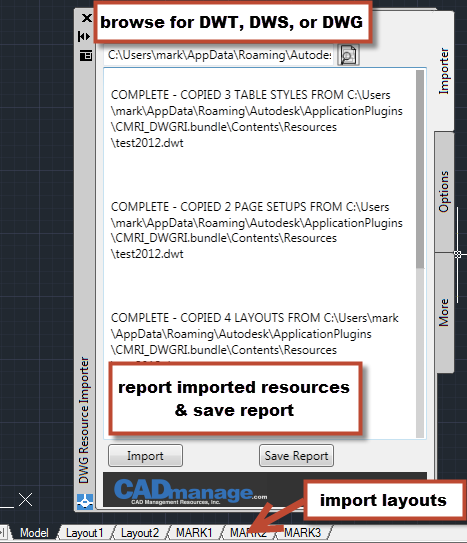 Whether you develop your own import palette or use one like DWG Resource Importer your team will save production hours. Seth’s last blog, Resources Resources…, was great! In particular this bit of information really caught my attention. 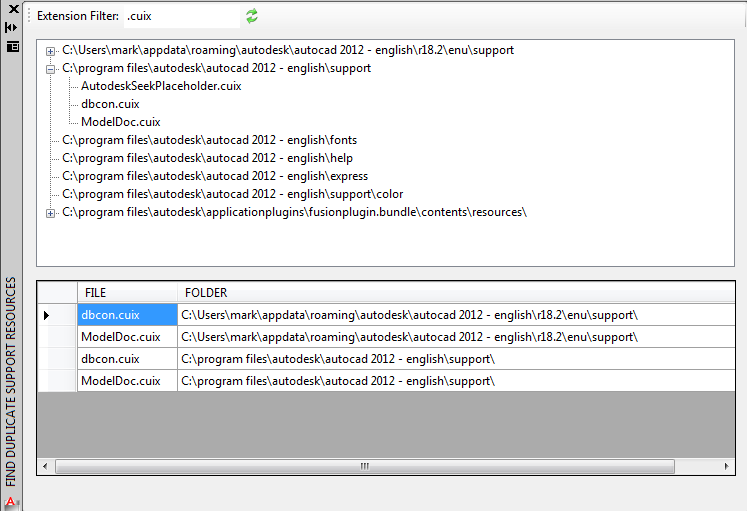 The Files tab lists the folders that AutoCAD will use to search for resource files (a.k.a. Support Paths), drivers, CUI files, tool palettes, and so on. There are also user-defined settings such as the dictionary file used for checking spelling. Paths are searched in the order that they are listed in the Options dialog box, and if the same file exists in different folders, the first instance found is used. Ok, so that got me thinking. How do I know if there is more than one file with the same name in my paths folders and is the file I want loaded in the right place? My first thought was to just look in each folder and see if there are duplicates. But, turns out there are a lot of files in these folders. I’m going to need a better way. I could write a vb script to look in each support folder and compare all of the files dumping the results to some output file, but I kind of want to be able to debug my profile folders when I’m in AutoCAD. To do that we will need a different approach. I decided to build a plug-in. 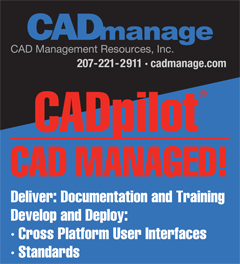 If you’re not familiar with .Net plugins for AutoCAD check out Autodesks “My First Plug-in” tutorials. Really well done. 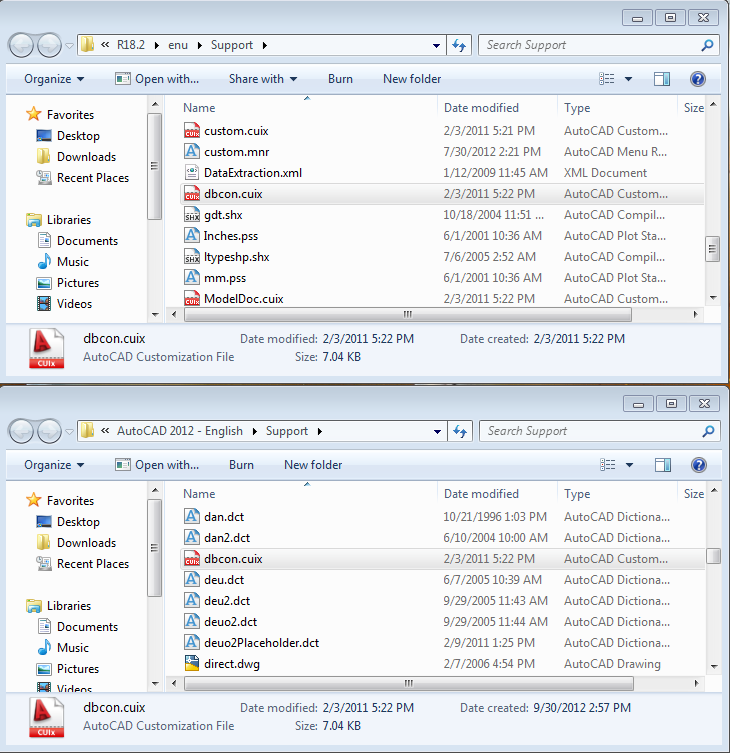 You don’t need the wizard, and you can find the AutoCAD references in the AutoCAD program files folder. There are a lot of on-line tutorials for VB.Net or C# – either programming language can be used to create an AutoCAD plugin. I’ll let you do your own googling to find what you need. 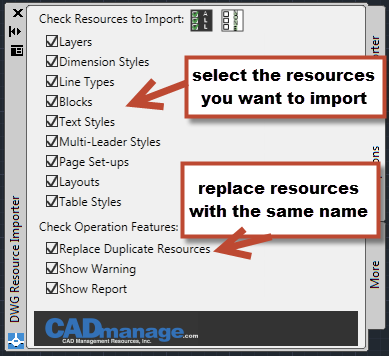 Here are some pointers for getting the support file information from AutoCAD. We will start by just figuring out what our support files are. In your class you will need a new command to show the support paths. Compile this to create a dll that you can netload (just like in the plug-in tutorials). After you netload you can use the command SHOWSP which will display a message box similar to this one. In this example I have added the file names to a list box. You can loop through the list items to check for duplicates and output to another list box. I took it a step further and built a Palette. In the top panel I added a tree view so that I have a way to step though the folders and files. In the bottom panel I list the files that show up more than once. I also added a double click feature to open a window and select the file in the folder it resides in so that I have a quick way to compare files. Finally, I decided to add an extension filter so that I can debug just cuix, or lsp files. We’re looking into posting this on the Autodesk Exchange. So, if you don’t want to dig deeper and try to write it yourself I hope to have this submitted and available in the next few weeks.